Rose and I were kayaking near the south end of the lake and found a wonderful surprise. 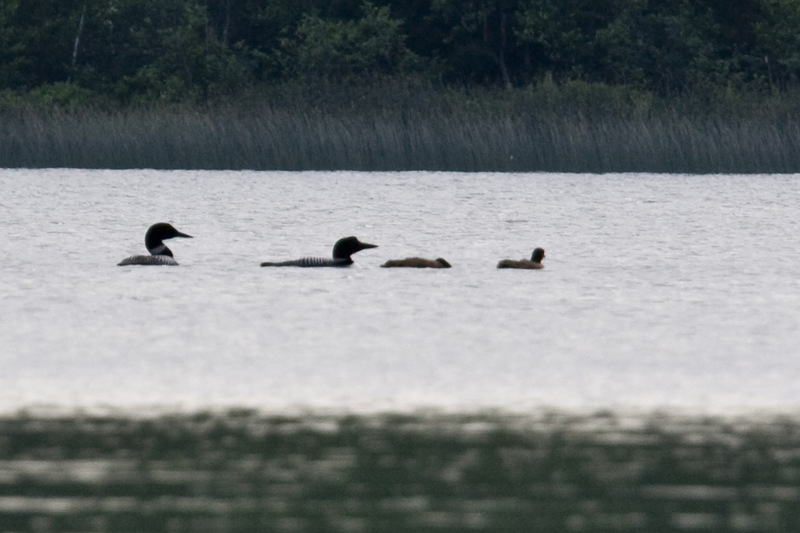 We saw Mom and Dad Loon with their twin loon chicks on Saturday, July 2, 2011. We saw them three times over the first part of the week. This entry was posted in Orchestra Camp Colony and tagged Loons.